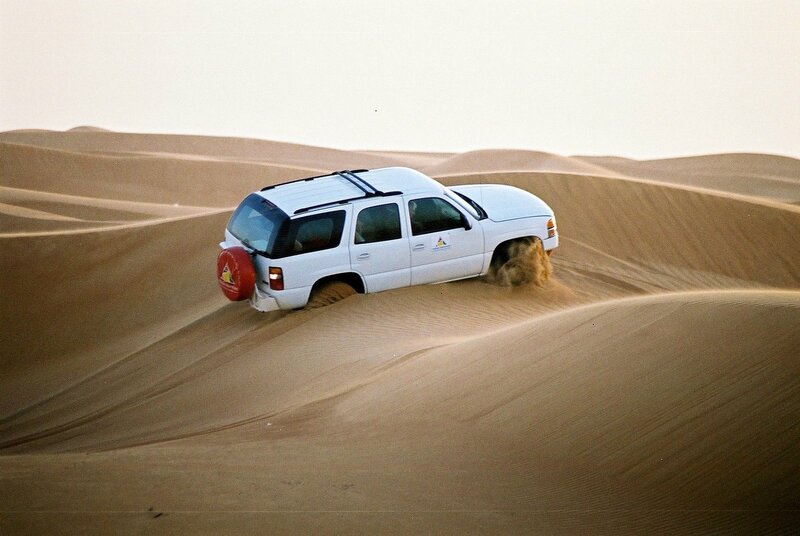 Desert Safari in Dubai is an ultimate thrilling and rousing activity for the tourists and residents of Dubai. Since the desert is located a bit away from the bustling city of Dubai, so you will certainly enjoy the breathtaking and awe-inspiring landmarks of Dubai during your trip to desert. The real fun of the desert begins as soon as you get over the driving seat of your 4WD and reaches the golden sands of the desert. Enjoy the immeasurable level of excitement and elation when your monster 4WD hit the dunes hard and sand splatters on your windows like water. Get more details about this thrilling activity by reading this complete article and make your trip more exciting and memorable. - Pregnant women, infants, disabled people or people with back problems and senior citizens with heart problems are not advised to go for Desert Safari. - During your trip, you can take some casual photographs, but there are certain photography rules and laws in Dubai which have to follow. You are not allowed to take pictures of Arabic women, important places and other military installations in the city. - Fasten your seat belt before driving and enjoy the thrilling ride of your monster 4WD. Folks, this is not the end. We have a third day plan for you that will definitely amuse you and make your trip more remarkable and entertaining.